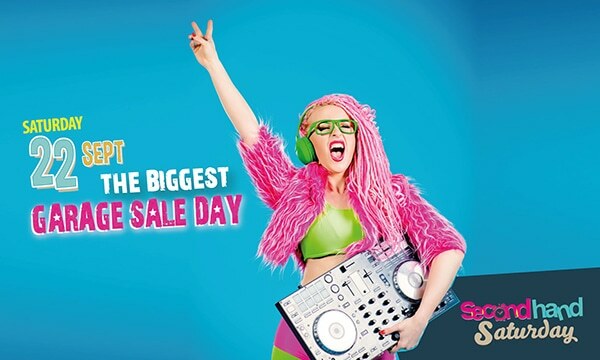 The biggest garage sale day of the year on the North Coast – Second Hand Saturday – is coming up this Saturday, 22 September. Coordinated by North East Waste, Second Hand Saturday is designed to keep household items out of landfill and provide a fun and easy way for people to reuse and recycle pre-loved goods. On 22 September there will be more than 500 garage sales happening across the region in Lismore, Richmond Valley, Kyogle, Ballina, Byron, Clarence Valley and Tweed. There will be a huge amount of items for sale from caravans and scooters to furniture and household goods, antiques, bric-a-brac, plants, collectables, curiosity items and lots more. An optional ‘leftovers’ day will also be held on Saturday, 29 September so you have double the chance to find a great second-hand bargain. "The event has grown in momentum as people embrace the need to live a more waste-wise lifestyle and continue to see the environmental and economical benefits of buying second-hand," Second Hand Saturday Coordinator Linda Tohver said. “Second-hand doesn't mean second best. There’s often items you simply can’t find on the shop shelves anymore, or you come across items that have had little use by their first owner and simply need to find a new home. “We love the community spirit that Second Hand Saturday inspires too. This year’s event has its first car boot sales registered, community markets joining in and clubs, schools and other groups registering to hold fundraising events. “It’s wonderful to see so many people getting on board,” she said. While many Australians are striving to live a more waste-wise lifestyle, there are still millions of tonnes of waste going to landfill every year that could have been avoided to begin with or diverted for re-use. During the 2016 and 2017 Second Hand Saturday events, over 3700 wheelie bins worth of second-hand items exchanged hands and participants said around 40% of that had been destined for landfill. Second Hand Saturday garage sales will be listed in The Northern Rivers Echo and online or via the app at www.secondhandsaturday.com.au on Thursday, 20 September and in The Northern Star on Saturday, 22 September.